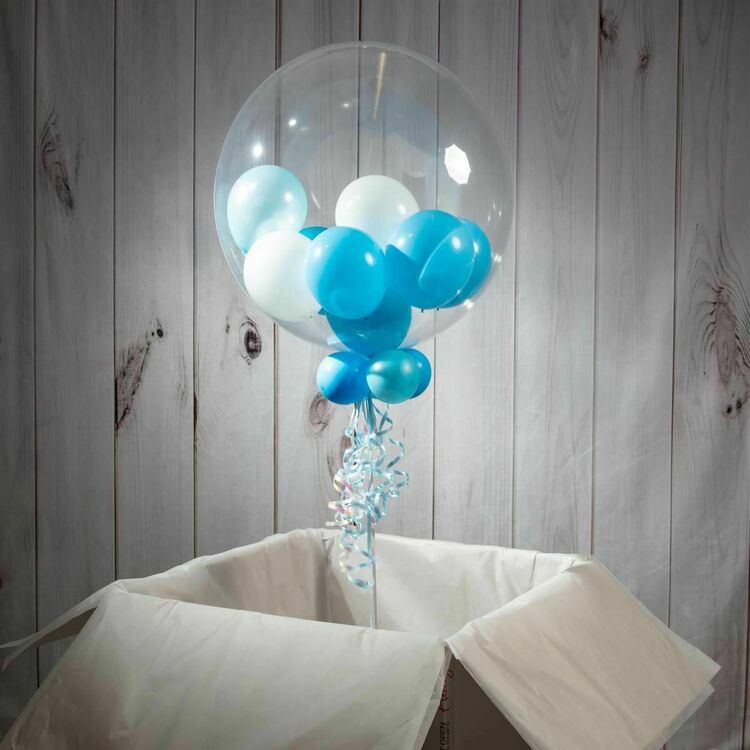 Add an individual touch to your child's first birthday celebration by choosing our balloon-filled bubble balloon, available in a wide range of colours. 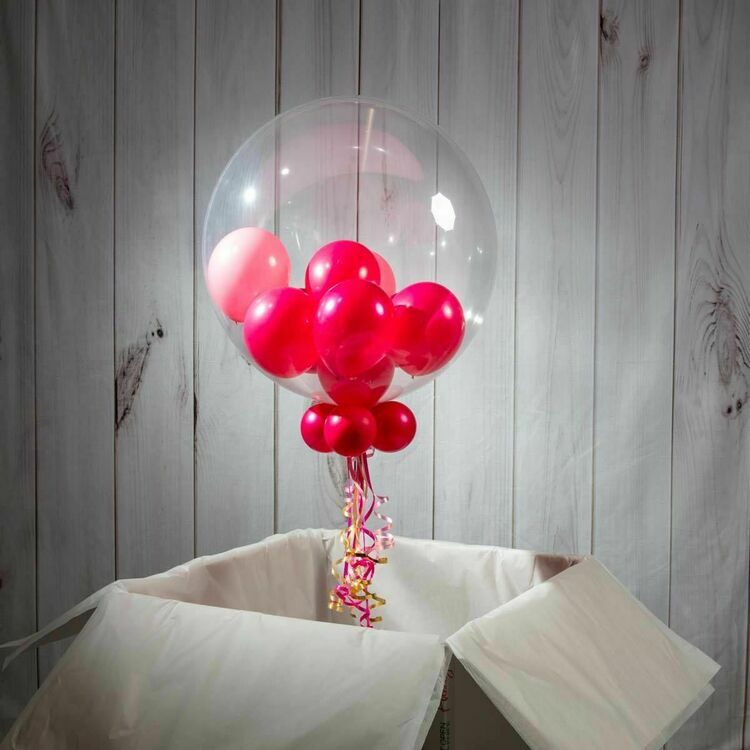 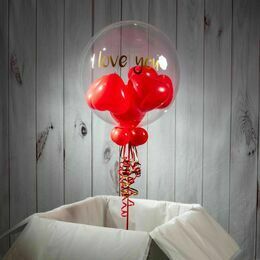 We inflate a 20" spherical clear plastic balloon and then insert smaller balloons in the colour of your choice inside to create a wonderful looking effect. 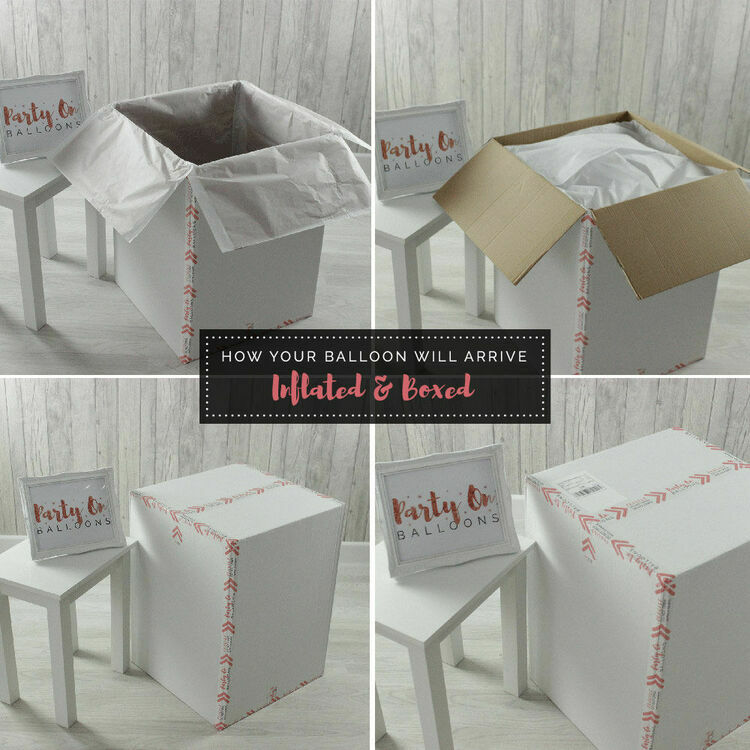 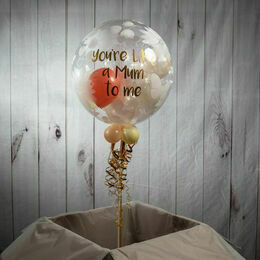 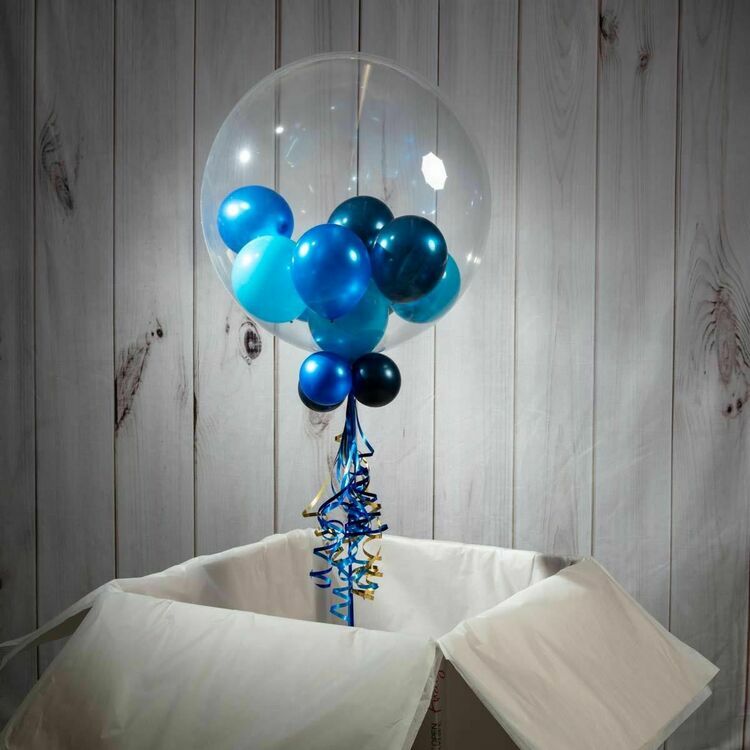 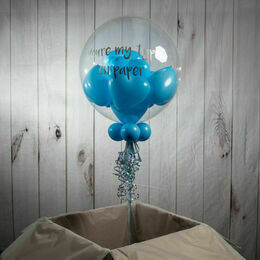 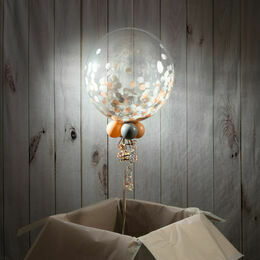 For a finishing touch, we add 4 small balloons to the base as well as colour coordinated ribbons and a weight.